Cooper had $7.50 on his person and a demijohn of wine. The wine was missing but the money was found in his coat. Joseph Cooper was about 70 years of age, an inoffensive man, and why he should be murdered is a mystery. 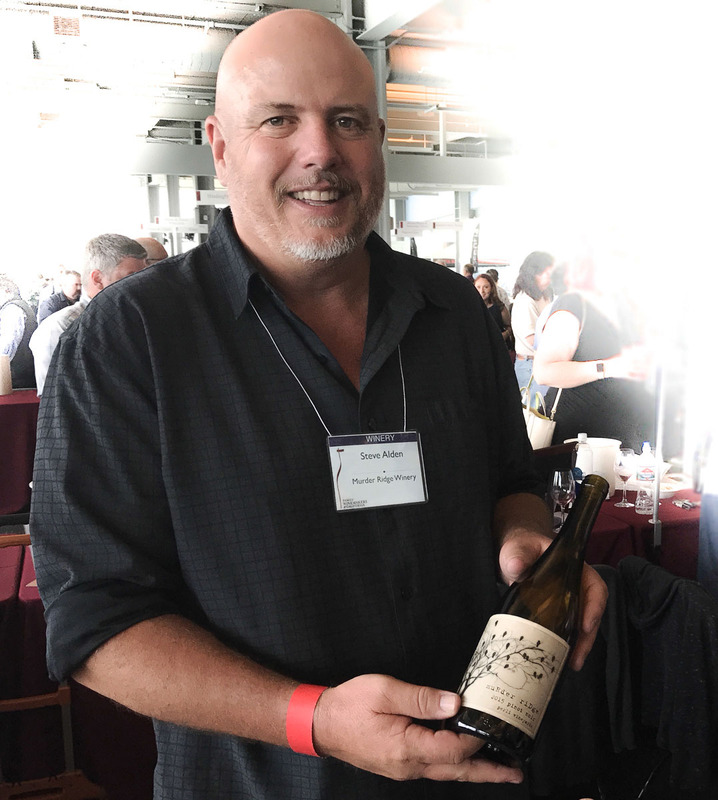 Murder Ridge won our award for Most Original Name in our overview of Family Winemakers 2017. But they would not have made the list if their wines hadn’t been excellent. Let’s take a closer look at their pinot noir. This is Murder Ridge at Family Winemakers 2017. We were greeted by Steve Alden behind the Murder Ridge table. As we later discovered, Steve grows the grapes. Steve’s degree in photojournalism is from San Jose State University. In 1951 his grandfather bought a 2,000 acre timber ranch in coastal Mendocino. Steve found he was spending more and more time managing the ranch. Then he caught the grapegrowing bug. He started surveying the ridgetops to find the best locations for growing winegrapes. 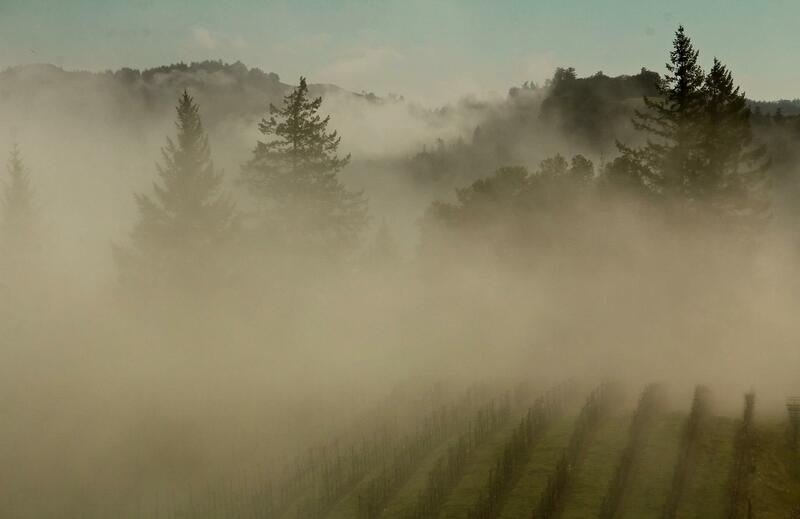 The Perli Vineyard was planted with pinot noir and zinfandel in 1994. The winery’s first vintage was 1997 And we sure are happy he made that decision. 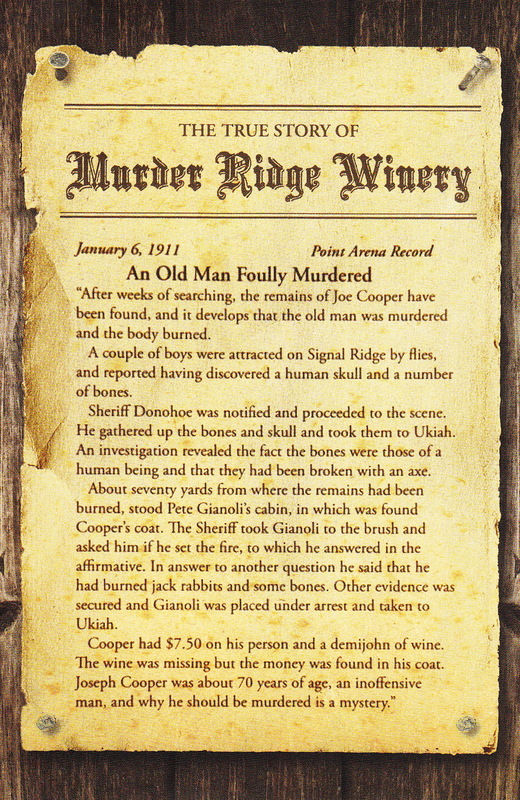 Today Murder Ridge produces 250 cases of wine per year and zero timber for the last fifteen years. The Murder Ridge winemaker is Leslie Sisneros. She followed a more traditional career path, getting her degree in Plant Science, Viticulture from U.C. Davis. The two met when Steve was delivering grapes to Vinwood Cellars in Geyserville for the 2001 harvest. They hit it off and Leslie has been making wine from Perli Vineyards since 2007. She also works with several other wineries. After partaking in a thirteen month global agricultural work program she continued her pursuit of a fulfilled life by getting married, starting a family and working at various large wineries including Chateau St. Jean and Rodney Strong. She eventually stumbled onto a family operation known as Kendall Jackson where she welcomed the challenge of this dynamic, growing, business and worked her way up from lab tech to Pinot Noir Princess during her thirteen harvests. And there’s also a poem about the event. 2015 Murder Ridge Perli Vineyard Mendocino Ridge pinot noir ($48). Blackberries and black cherries on the nose, a palate that is a fruit bomb with a hint of forest floor. 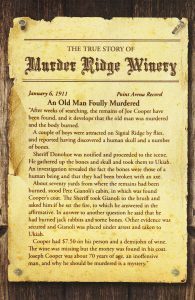 Discovering new wineries like Murder Ridge is one of the real pleasures of writing at CaliforniaWineFan. We urge Steve and Leslie to keep up their excellent work.